MANILA, Philippines – While President Rodrigo Duterte promised a hero’s burial for dictator Ferdinand Marcos, a deal approved during the term of his supporter, former president Fidel V. Ramos, prevents this from happening. Alunan said the Philippine government and the Marcos camp signed this agreement in 1992. “I would think that because the agreement is still in force, then both sides should honor it,” he said. Ramos, for his part, said Congress must decide whether Marcos will be buried at the Libingan ng mga Bayani. “I said officially, let the people decide. Who are the people? Our representatives and senators now sitting in Congress,” said Ramos, who served in the military under Marcos until turning on him in 1986. He also suggested that elected lawmakers issue a resolution about Marcos’ burial, saying it would reflect the will of the people. Ramos and Alunan made these remarks after Duterte sent them to Hong Kong for informal talks with Chinese representatives regarding the West Philippine Sea (South China Sea). 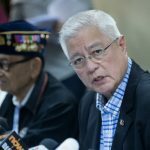 Alunan added that he wants to protect the presidency of Duterte, also known by his initials PRRD. 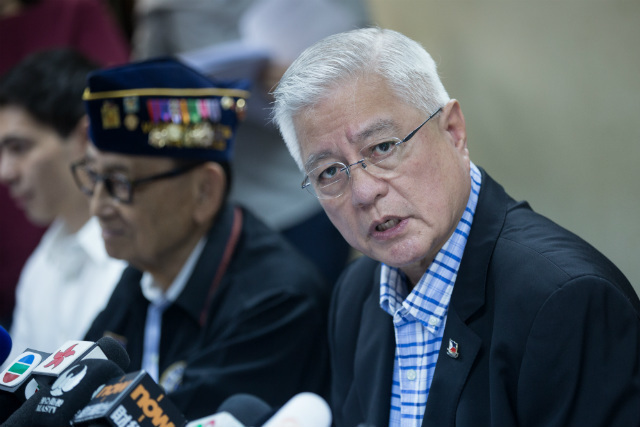 “I would like to add that we are protective of PRRD’s presidency; and any issue we see that could undermine his effectiveness and erode his political capital too early in the game compels us to speak out and point the way for his consideration and appropriate action,” Alunan said. Other Duterte supporters, such as Senate President Aquilino Pimentel III and Senator Alan Peter Cayetano, also reject a hero’s burial for Marcos. Duterte however asserted on Thursday, August 11, that Marcos deserves a hero’s burial because he is a soldier and a former president. The President said this is allowed under Philippine laws.